As president of Pharos Fundraising Strategy + Communications, RaeAnne Rose has partnered with LQE over the past 10 years on many projects. 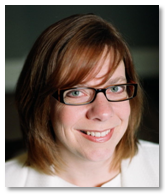 RaeAnne provides hands-on analysis, planning, development and implementation of effective fundraising programs. Each interaction with clients intentionally increases their knowledge of fundraising best practices, improves their self-sufficiency or positions them to be more effective so that they are able to carry-out their mission. Twenty years ago, RaeAnne’s career in fundraising began at Ryerson United Church in Vancouver. Today, as a consultant to over 60 small and large not-for-profit organisations across western Canada, RaeAnne has helped position her clients to achieve success. Recently, she guided the Boards and staff of Presentation House Theatre and the Museum at Campbell River to create their first fund development plans. She has raised millions of dollars directing successful campaigns for BC Women’s Hospital Foundation, the Heart and Stroke Foundation and the Canadian Cancer Society. A graduate of Simon Fraser University, RaeAnne holds a Bachelor of Arts in Communications. She also has a Certificate of Fundraising Management from Vancouver Community College and is a member of AFP Vancouver. RaeAnne is an active volunteer - currently Treasurer of the BC Aquasonics Synchronized Swim Club and the President of École Woodward Hill Elementary Parent Advisory Council – her second full time job!